This set contains all 7 Chakra colored stones in rich essential oil blends! 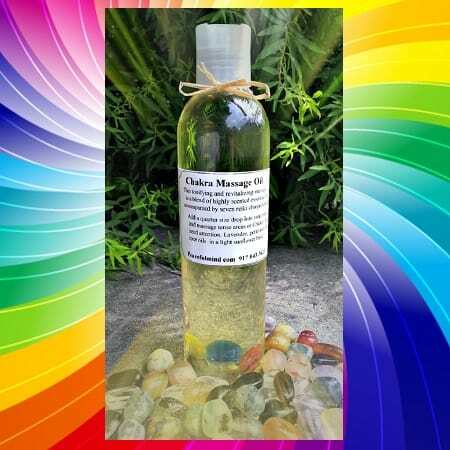 Created by Andrew for his acupuncture and energy medicine practice, Chakra Massage Oil is a hand blended oil infused with 7 real crystals representing each Chakra energy center. Andrew blends light sunflower oil with healing jojoba oil and gives you the option of enjoying a non scented oil or a light scent of Angel’s Mist Essential Oil of Lavender. 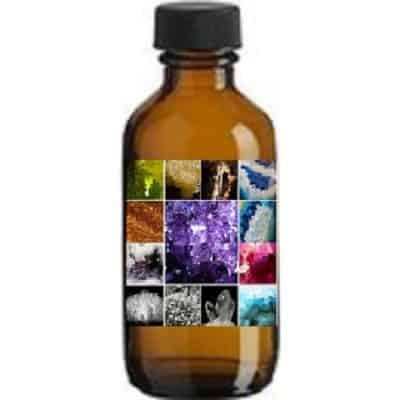 These oils are enhanced with the energy of earth’s amazing gemstones. Our special process infuses the bio-electric energy from the gemstones into the oils without damaging the healing properties. This product is essential for any skin type in order to enrich and moisturize and balance the ph levels of the dermis. 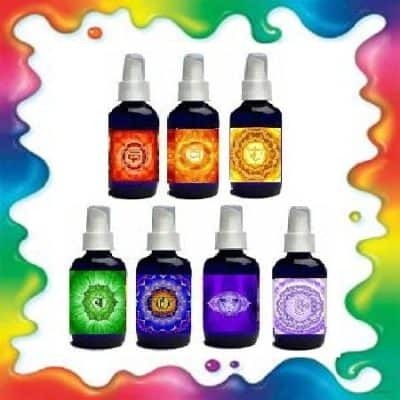 Our Angel’s Mist essential oils are 100% pure essential oils that have been designed specifically for the Peacefulmind.com product line. 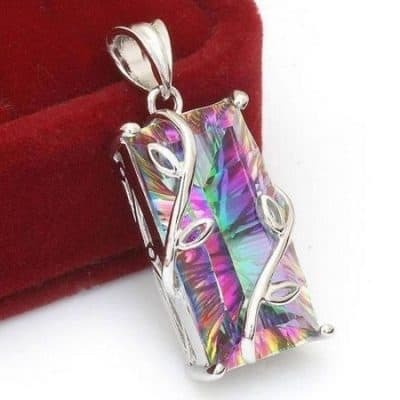 They are used in Andrew’s New York City practice and sold to vendors all over the world. 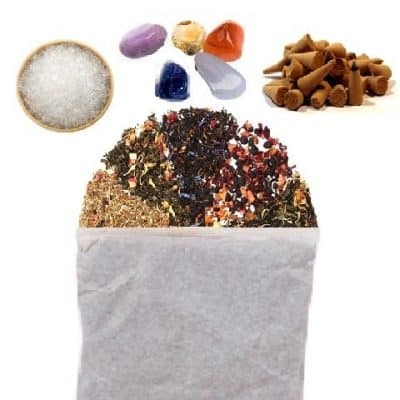 They are made in small batches to ensure the highest quality and purity. 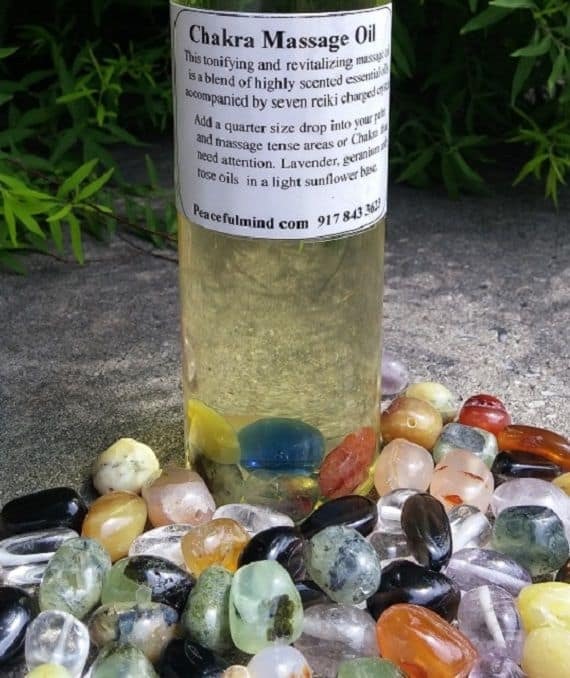 This product makes an incredible bath oil, pulse point perfume and Chakra balancer.